The Lobby is a documentary produced by Al Jazeera which shines daylight on the quasi-illegal practices of Israelis and their Jewish-American partners to undermine the First Amendment rights of advocates of the Boycott, Divestment, and Sanctions movement (BDS). BDS is a non-violent protest to exert pressure on Israel to end its human rights violations against Palestinians, akin to the anti-divestment movement against apartheid South Africa. 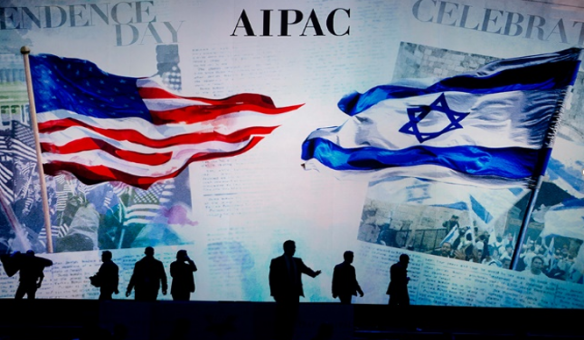 The Lobby documents an arsenal of unethical tactics employed by the pro-Israel forces that are deeply antithetical to the American democratic process. The beauty of The Lobby – the reason the film succeeds – is because its evidence is not based on hearsay, speculation, or conspiracy theory. Rather, the deceitful tactics are revealed through the very words of the pro-Israeli participants themselves as a result of a hidden camera wielded by a British Jew who infiltrated their conferences, programs, and one-on-one meetings. The incriminating words of each participant are written on screen for all the world to read, giving the sense that one day they could become transcripts of court depositions. The first incarnation of the documentary was filmed in Britain resulting in considerable controversy given the undercover nature of the infiltration and its explosive findings. The U.S. version was completed in October 2017, but was censored for over a year by pressure put on Qatar, a funder of Al Jazeera, from the Israeli lobby. So what are these controversial tactics? The most shocking is proof by their own admission that the Israeli government spies on American citizens. They do this in part through Israeli cyber companies whose high-tech software secretly penetrates chat rooms, Facebook, social media accounts, and hacked emails. As Ali Abunimah of Electronic Intifada states in the film, if this were Iran or Russia or any other foreign government spying on U.S. citizens, there would be an uproar with Congressional hearings and headlines. It is unsettling to watch Jewish Americans who work for the Israeli government, directly and indirectly, gloat about their ability to provide a foreign government purloined information on fellow U.S. citizens. What a blatant Fifth Column disloyalty to our country! Why are operatives like Julia Reifkind, former Director of Community Affairs for the Israeli Embassy, not charged with failing to register as foreign agents? Curiously, The Lobby neglects to mention the notorious precedent for Israeli spying – the Jonathan Pollard espionage case. Perhaps Pollard’s release from prison as a tacit quid pro quo for Obama’s signing the Iran nuclear deal emboldened the Israelis to continue this deeply offensive tactic of using Jewish Americans to spy on their fellow citizens on behalf of Israel. Another unscrupulous tactic employed by the Israelis and their Jewish-American partners is smearing the names of BDS activists who engage in lawful activity. A leader of StandWithUs teaches her workshop audience to stay on message. And what is the message, she asks? That BDS is hate speech. Others defame it as an anti-peace movement. These allegations serve as scaffolding for the ultimate charge that BDS activists are terrorists – today’s slanderous equivalent of accusing someone in the 1950s of being a Communist. And indeed, the anonymous Canary Mission website emulates the most dastardly McCarthy era tactics by posting online a blacklist of activists with the aim of destroying their reputations and thwarting their employment opportunities. This underhanded smearing has the effect of chilling activists from participating in the BDS movement. In essence, the Zionists are penalizing legal grassroots activism. The pro-Israel forces completely out-gun the grassroots BDS movement. A member of StandWithUs admitted getting over a million dollars in funding – and they are just one of at least a dozen U.S. organizations that The Lobby named as actively opposing the student BDS movement. In addition to seemingly unlimited funding, the pro-Israel front groups have battalions of professionals and resources at their beck and call to provide all manner of assistance: drafting op-eds, writing legal memos, sophisticated training in propaganda techniques, and access to a battery of media outlets that grassroots groups cannot possibly cultivate on their own. The list goes on and on. 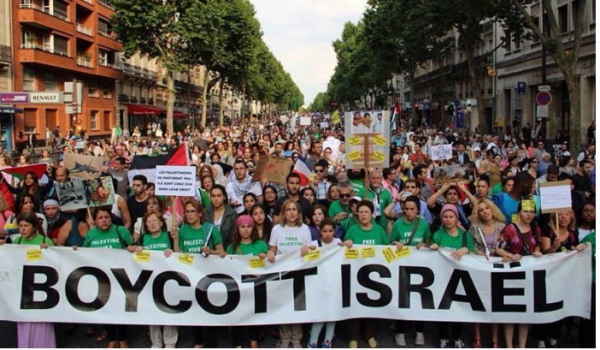 While BDS activists play by the rules of what one would think is a level playing field in the arena of public opinion, unbeknownst to them, the Zionist forces deliberately subvert the American democratic process – and not just overtly. Israel’s secretive Ministry of Strategic Affairs covertly provides extensive high-tech surveillance assistance. Why has the Department of Justice not assigned a Robert Mueller to investigate these transgressions? In a classic David and Goliath struggle, the highly disproportionate efforts Israel is implementing to slay the underfunded underdogs speaks volumes about the ultimate weakness of their juggernaut – and conversely, the principled righteousness of the pro-Palestinian movement. The Israelis and their American partners seem oblivious to the possibility that once their nefarious practices become known to the public, a backlash may not be limited to them alone. Innocent Jews might be swept into the animosity generated by the Zionists’ borderline criminal behavior. In The Lobby, the Israeli forces crow that BDS does not have an adverse economic impact on Israel. But in the next sentence they are forced to admit that the polls show Israel continues to lose support with young people. Perhaps youth can smell the difference between real and fake. Whereas BDS student activists belong to and volunteer for legitimate organizations, pro-Israeli personnel appear to all be paid operatives secretly fronting shadowy forces buttressing an astroturf movement. An African-American outlier (because the real operatives are all Jewish) sheepishly admitted getting paid to be bussed to George Mason University campus to face down BDS conference participants. He said he got “$50,000 plus benefits.” This could be true, but more likely was a hyperbolic way of saying he got paid a pretty penny to play a protestor for a couple of hours. These perfidious pro-Israel Americans pose a great threat to our constitutional rights. It would behoove citizens of all stripes – from climate activists to queer collectives to religious organizations and the ACLU – to rally to stop the Israel military from spying on U.S. citizens and to force U.S. citizens who front for Israel to register as foreign agents. Action #1. Watch the videos. Don’t delude yourself that you “get the picture.” The Lobby surfaces a wealth of new indicting evidence, such as the bombshell revealing the identity of the once anonymous funder for Canary Mission – New York real estate mogul Adam Milstein. Action #2. Share this film with your friends, your family, and your network of organizations and activists. It is up to us, the grassroots activists and supporters, to weed out these pro-Israeli liars, cheaters, and deceivers. Action #3. Ask your local television station to air the film for the purpose of exposing these furtive traitors. Promote the film on social media channels. Write news outlets requesting The Lobby be reviewed. Action #4. Contact your Congressional representatives (or start a petition) to insist that pro-Israeli front groups be forced to register as foreign agents. Action #5. Support BDS actions. Defy the weaponization of neo-McCarthyist tactics to silence our voices. Cat McGuire is a pro-Palestinian activist who also organizes online truth conferences and private Understanding Zionism study group. How uplifting to discover that the BDS campaign is really working…and it scares the hell out of them. All the reasons why religion should never become the state, opposing views will not be tolerated blocking whatever chances for democratic process. excellent writeup. & can’t emphasize enough the need to actually WATCH the doc- i thought i knew pretty much everything on this topic, but there is some really astonishing stuff in here. that the American government allows agents of a foreign nation (supposedly an “ally”) to surveil, harass, & smear its citizens, within its borders, should have people rioting in the streets.